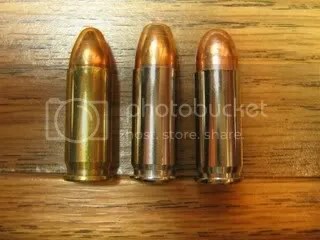 ammunition, regardless of bullet design or weight. 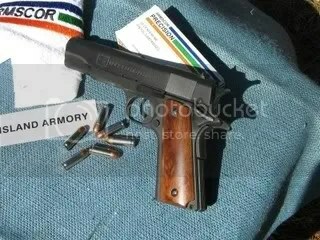 Secondly, I had never fired a pistol chambered for Super .38 cartridges. appreciated more than mere words can express. 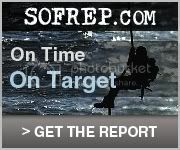 the caliber of choice for many top pistol match competitors. other side of the law. It’s not hard to figure out why! ammunition manufacturers label ammunition for the Super as 38 Super +P. strong enough for heavier loads. well as the aforementioned cartridge casings. 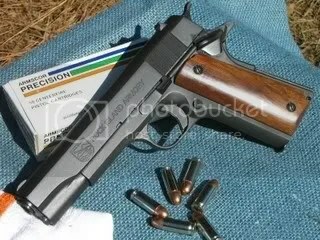 Super is Armscor’s tried and proven full size Government Model pistol. displays “Cal. 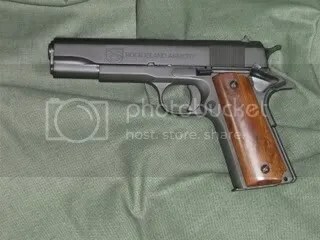 38Super” on the exposed barrel hood. attention to these small details is duly noted and appreciated. or disconnector. This pistol does not have a firing pin safety! majority of the G.I. configured guns available in the market today. broke in a clean and crisp manner every time. G.I. 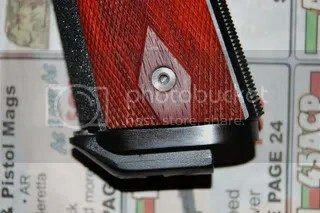 sights are the primary reason I don’t own any GI Models..
will be addressed in the “Firing Line” portion of this review. eight. Perhaps this is the way these magazines are set up. pistol in much less time than it takes to type this. shelf), and all bearing surfaces are sharp and cleanly defined. complete magazine, but was unsuccessful. pistol as rapidly as I could reload the magazine. testing was done with the donated Armscor 125 gr. FMJ ammunition. Don’t read this as a negative comment! this time. So, save your brass and cook up your own best loads! fastest, but the most accurate as well. Winchester Flat Tip Metal Jacket 130 gr. 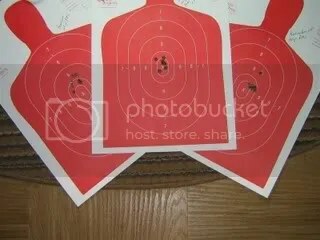 +P, and the Remington 130 gr. field strip the pistol until all shooting tests were completed. pretty heavy use while in my care. “Courtesy of the Model 1911 Pistols Organization E-zine” Also many thanks to a great guy who rights one heck of a review Steve Clark! I appreciate you allowing me to post your review. Sometimes I feel an update merits it’s own post and this is one of those cases. I added some of this information as updates to the original Kimber Pro Carry II post however this goes a bit farther. Some guns just have more problems than others for various reasons. In this case part of the information is warranted by the declining QC of Kimber in recent years. Some has to do with the choice of materials for parts in critical areas. To recap after shooting a little over 500 rounds the extractor claw broke on this gun and was replaced by Kimber under warranty. After replacing the extractor the pistol again worked as it should. 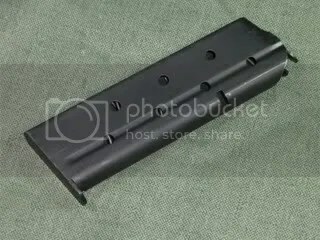 This lasted another 250 or so rounds at which time the slide started to fail to lock back after the last round was fired. This problem was diagnosed and had nothing to do with a bad magazine which is often the case. Rather, the culprit was the slide release. The slide release on Kimbers are a MIM part. While MIM parts are ok in some areas of a pistol this is not one of them. Excess wear was obvious on the release which was one of the causes of the malfunctions I was experiencing. The other thing that contributed to this slide lock problem was the fit of the release was rather loose allowing the factory part to wobble around pretty bad. I ordered a Wilson properly treated steel slide release to replace the factory part. When I replaced the factory part with the Wilson slide release the slide lock problem was taken care of. I believe this was in part due to the sturdy nature of the Wilson part and the much tighter fit of the Wilson slide release. 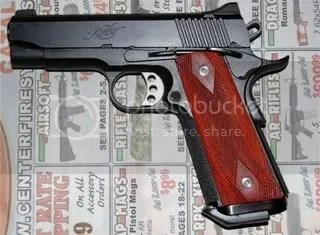 These problems may not seem like a big deal but in my perspective when you pay for a Kimber and it’s higher price than many 1911’s you should not experience problems of this nature especially if this is to be a daily carry gun you may have to trust your life to. So, we have a new extractor and slide release and a Kimber that functions as it should have out of the box. 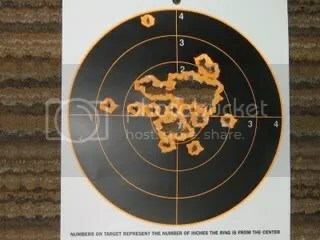 This is not a Kimber hater post at all but with these problems I would be remiss if I didn’t pass this information along. I have other Kimbers I have never had problems with but they are older pistols pre-dating some of the current QC problems that seem to be plaguing Kimber if you can believe some of the articles I’ve read. Another part I wasn’t fond of is the plastic mainspring housing that is a factory part on all Kimbers. Somehow I have a preference for a good steel MSH on a gun costing this much. I replaced the plastic MSH with a Wilson steel MSH which again fits tighter and gives a better grip than the plastic part in my opinion. Sure it adds an ounce or so of extra weight but that is of no consequence to me. To facilitate faster reloads I also purchased a Wilson magwell of the type that fits over the bottom grip bushing on both sides of the pistol. The fit is snug and was a breeze to install. All that was needed was a little cutting on the inside of the grips to make the grips fit flush with the frame. 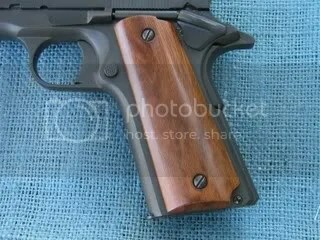 I also changed to a wood grip made for magwell use. 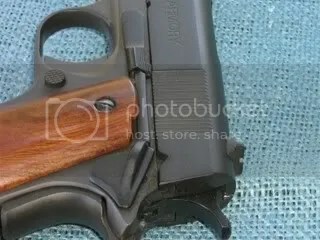 These are attractive Mahogany grips from Brownells and carry a very inexpensive price of $14 plus shipping. 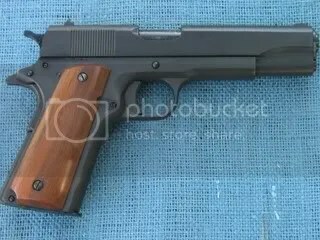 Since I will once again carry this gun on a daily basis I don’t want to spend $50 to $100 on a set of beautiful handmade grips that can be damaged easily. Also, I purchased slam pads for the magazines from Ed Brown. Now I can sum this up by saying that after testing the gun I’m convinced this will be a very reliable carry gun. It’s unfortunate to have to replace parts to get it that way but so be it. 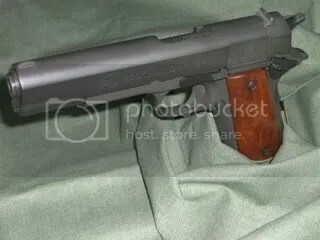 It’s to nice a 1911 configuration to let it go. 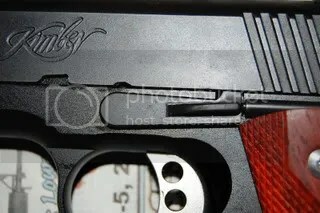 I hope this update will be of use to those of you who own a Kimber or are considering the purchase of one.